The British Academy of Film and Television Arts (BAFTA) held their awards gala tonight for the 15th Annual BAFTA Film Awards at London's Royal Opera House. 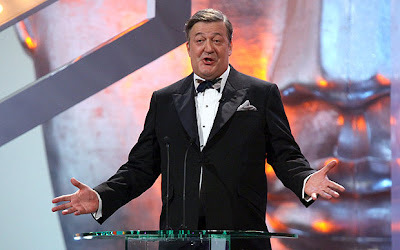 The event was hosted by Stephen Fry. Michel Hazanavicius' The Artist cleaned up again, winning seven awards. It won Best Film, Director, Original Screenplay, Leading Actor (Jean Dujardin), Original Music, Cinematography and Costume Design. It had led the nominations with twelve. The only other multiple winners were the two trophies each for Tinker Tailor Soldier Spy which won for Outstanding British Film and Adapted screenplay, Hugo for Production Design and Sound, The Iron Lady for Best Actress (Meryl Streep) and Makeup and Hair, and Senna which won Best Documentary and Editing. The wins for Dujardin and Streep are considered to be in close races with George Clooney and Viola Davis respectively. The wins for Canadian legend Christopher Plummer (Beginners) and Octavia Spencer (The Help) were as expected. Pedro Almodóvar's The Skin I Live In beat out Canadian entry Incendies and several others to win Best Film not in the English language. The Best Animated Film Award went to Gore Verbinski's Rango.